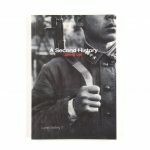 In his book A Second History, Beijing-based artist, Zhang Dali, examines the widespread use of photographic manipulation carried out by the Chinese government during the regime of Mao Tse-tung (1949-76). 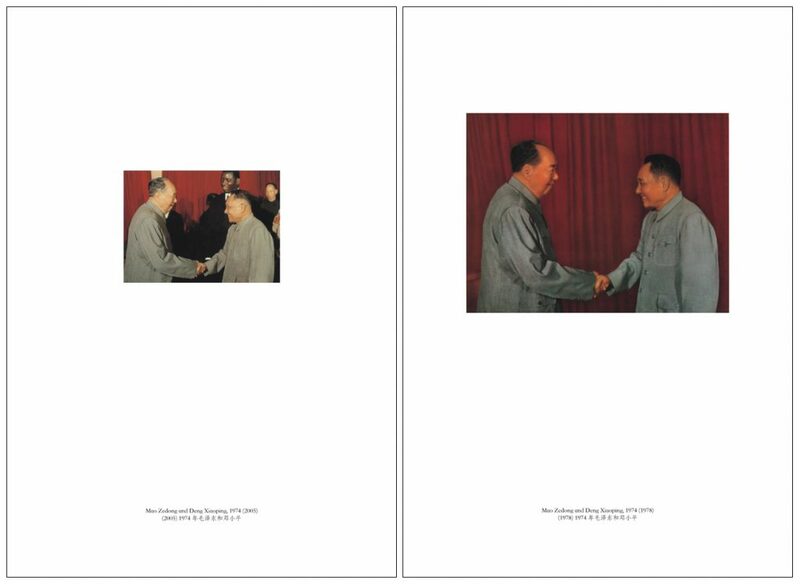 Using a compare and contrast format this artist book presents a chronological sequence of original, unmodified images together with their doctored doppelgangers which were manipulated in party-run, photo labs in the 50s, 60s and 70s for the Chinese propaganda market. Altered histories are all around us, embedded in our lives to such an extent that it's become difficult to imagine what reality really is. 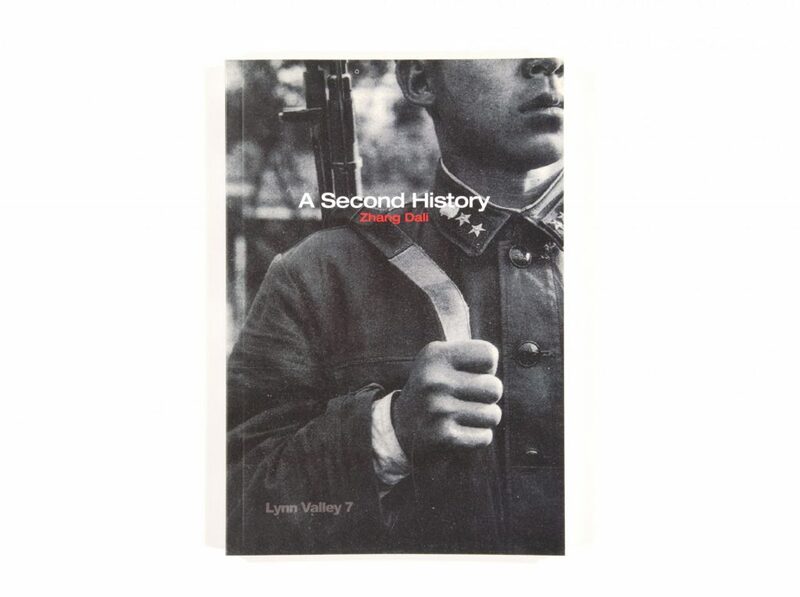 In today's era of 24 hour news coverage and its associated “spin” the idea of getting to the “truth” of something seem almost futile, however with projects like A Second History it is now possible to see a small glimpse of historical media manipulation laid bare. Scanning the spreads one can see the modifications made by the Chinese censors: In some images key people have been erased, while in others people have been added. Backgrounds have been modified and written slogans on flags have been altered. In other parings the edits appear almost unnoticeable as seen in the spread entitled The Sun Comes to the Kucong People, which features images of women workers harvesting hay in a field. The undoctored image, struck from the original negative, shows a young child peeking out from behind a cluster of busy workers… a detail the censors felt a need to remove. The image of a hapless youngster among robust agrarian workers was obviously at odds with the official party line at the time so the child ended up on the cutting room floor. 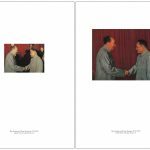 Unlike his Chinese forbearers who used photography as a tool for indoctrination, Zhang's use of the medium is more subjective… the core of his presentation is the manipulation itself, with all its associated political, social and artistic implications.